Samajwadi Party chief Akhilesh Yadav Friday said sacrifices of the armed forces should never be questioned, but advised the government "to stop pretending to be the Indian Army". He also said that in a democracy it was the "fundamental right" of politicians to ask questions. 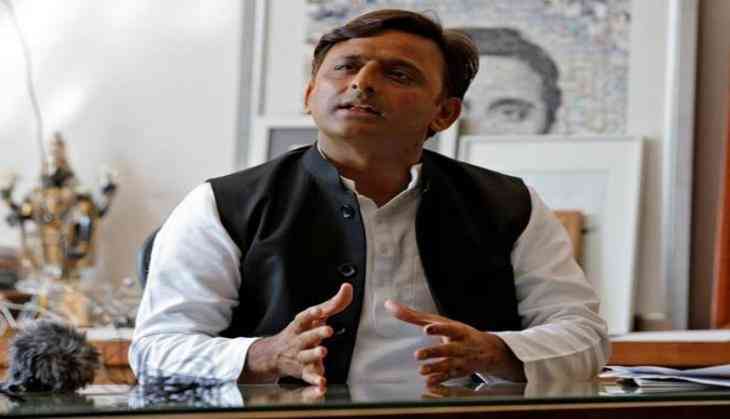 His remarks assume significance in the light of his party leader Ram Gopal Yadav claiming that the Pulwama terror attack was a "conspiracy" to garner votes. The SP chief tweeted, "This government needs to stop pretending to be the Indian Army." Politicians who say they cannot be questioned are dangerous, he said. SP leader Ram Gopal Yadav Thursday alleged the Pulwama terror attack was a "conspiracy" to garner votes. Ram Gopal, a general secretary in the Samajwadi Party (SP), also said once there is a change at the Centre, investigations will be conducted into the incident and claimed that prominent people will come under the scanner. "For the first time, it happened that there was no checking between Jammu and Srinagar. It was for the first time that the CRPF jawans were sent in simple buses. The point where the armoured vehicles were available, no one stopped there and they proceeded, and lives were lost," Ramgopal Yadav said. "This was a conspiracy...But, when there will be a change of government, investigations will be done and prominent people will come under the scanner, who had pushed our youth to death to garner votes," he alleged. The SP leader was speaking at a programme at Saifai -- the ancestral village of Samajwadi Party (SP) patriarch Mulayam Singh Yadav. "A number of paramilitary jawans were unnecessarily killed to increase votes. I do not want to speak these things now.